Architectural Jewelry - This is a dramatic, yet delicate sterling silver choker that is hand-formed to rest easily on the body. This statement collar is hinged without any clasps, so it is perfect for those with fine motor issues. One of Aaron's signature pieces. 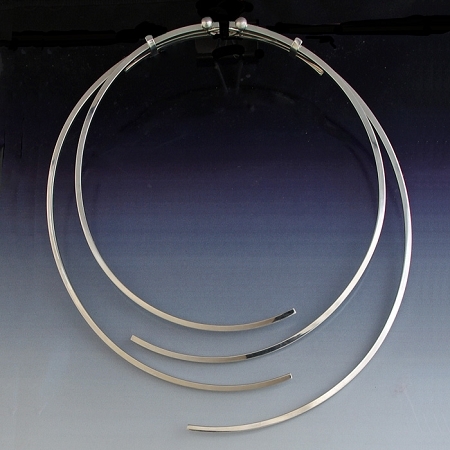 A simple, but elegant designed choker design in sterling silver that compliments any outfit. This light and comfortable piece is signed by Aaron Rubinstein.